Samsung might be one of those companies who have diversified greatly in their product lineup. After being a market leader in home appliances and tech gadgets, there is no stopping them. As Samsung reported their Q4 2013 earnings last week, the company planned to introduce new wearables products. According to reports, Samsung would be unveiling the sequel to its Gear Smartwatch and most importantly, Galaxy Glass to compete with the much talked about Google Glass. Google Glass, till now, is the big brother in the arena but this headset will soon be facing a new competition. 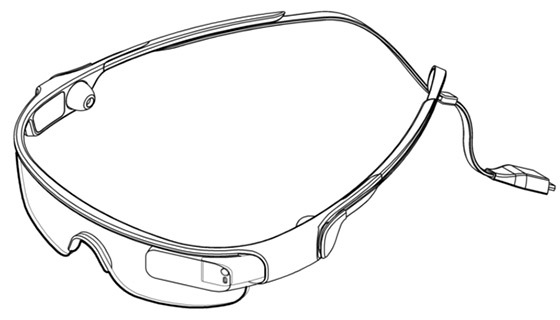 What impact the Galaxy Glass will bring once its released cannot be said yet. A report from the Korea Times cites anonymous Samsung officials who have claimed that Samsung will be developing the competitor to Google’s Glass which would debut in the IFA trade show to be held in Berlin, Germany this Septemeber. According to the officials, they know that by unveiling such wearable products, profits cannot be generated immediately. Hence they are planning to slowly release the products one by one. The market potential for a smart glass is huge. Apart from normal consumer usage, the glass can be used in cars, trucks, ships and has a much greater impact on industries such as coat and glass makers. For now, the product has already been registered for a Korean Patent. September is far away and we will be getting more information regarding the glass in the upcoming days.